Manchester City’s creative name for their secret project is explained within Der Spiegel’s report. Manchester City are alleged to have launched a secret project to shift the cost of player image rights to a third-party in a bid to escape Financial Fair Play penalties. In the second of a four-part investigation allegedly based on more hacked documents from the Football Leaks whistle-blowers, a report in Der Spiegel details an undercover project titled ‘Longbow’. Football clubs are obliged to pay their athletes for the right to use their image, be it in posters in the club shop or advertising for new shirts, but it is alleged that Manchester City farmed out the rights in a bid to save spending cuts. 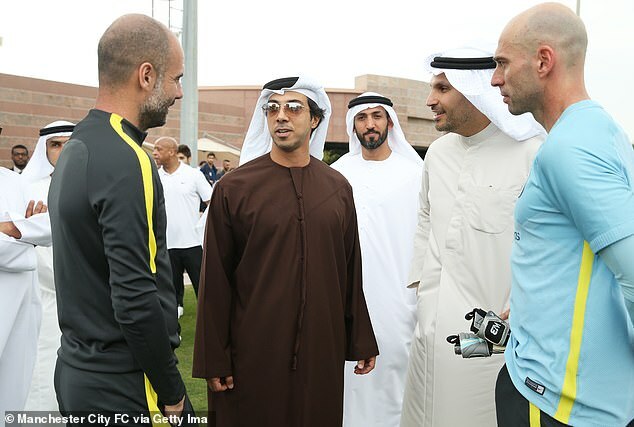 It is claimed that a marketing company called ‘Fordham Sports Management’, allegedly steered by Jonathan Rowland and his father David, bought the image rights, but were secretly fed £11million a year by Man City’s owner Sheik Mansour. 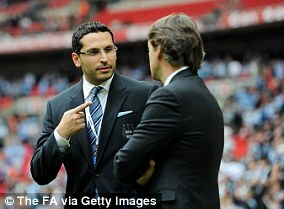 It has been reported, therefore, that the deal was in fact a ‘closed payment loop’, in which Mansour’s holding company Abu Dhabi United Group (ADUG) transferred money to the Rowlands for the purchase of the image rights of their players, which then allowed Manchester City to hide the expenditure. 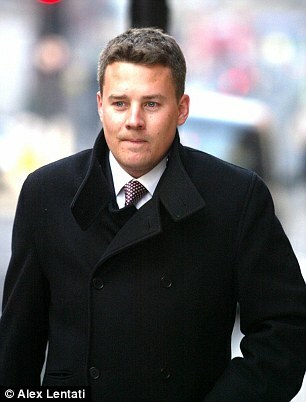 When Sportsmail called Blackfish Capital, the Rowlands’ private investment firm, a request for comment was declined. In an unrelated set of allegedly leaked emails, it is also claimed that Manchester City CEO Ferran Soriano was aware of the scrutiny that the club could be under in their fight against Financial Fair Play. In memos claimed to have been seen by Football Leaks whistle-blowers, they say Soriano – reporting back to club executives after a meeting of the European Club Association (ECA) – wrote in 2012: ‘They are all pushing for FFP in a way that would ashame (sic) any industry association. 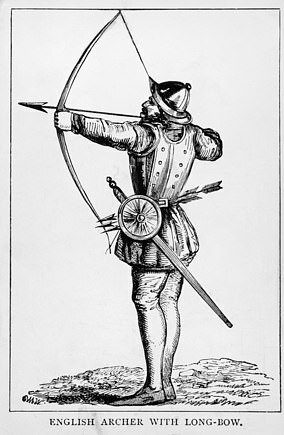 It is alleged that the club’s chief legal adviser Simon Cliff explained in an internal email that the longbow was the weapon used by the English when they beat the French at Crecy in 1346 and Agincourt in 1415. Manchester City’s ‘enemy’, as written in the Football Leaks report, was French UEFA president Michel Platini and his signature project – Financial Fair Play. It is claimed that the name ‘Project Longbow’ was then widely used by club employees over several years as the club fought against FFP. There is no indication that ‘Project Longbow’ is illegal. Financial Fair Play was approved by UEFA in 2010 and first brought into play in 2011. It ensures that clubs who have qualified for UEFA competitions must prove they do not have overdue payables towards other clubs, their players and tax authorities throughout the season. In short, clubs can spend up to €5m (£3.9m) more than they earn per assessment period, although total losses of £35m are permitted for clubs like City with the wealthiest of owners. Assessments are now made over a three-year period. In 2014-15, losses were still be limited to £35m. In 2015-16, the limit dropped to £25.5m. The pattern was then repeated in 2016-17 and 2017-18. Money spent on stadiums, training facilities, youth development or community projects is exempt, but clubs must balance ‘football-related expenditure’ – things like transfers and wages – with television and ticket income. All of this is overseen by The Club Financial Control Body (CFCB), which was set up by UEFA. Meanwhile, Spanish league chiefs have called on UEFA to open an investigation into the club following the release of the leaked documents. Javier Tebas, the La Liga president, wrote to UEFA more than a year ago demanding an investigation into City and Paris Saint-Germain and the Spanish league says the documents obtained by the German magazine Der Spiegel provide clear evidence of FFP breaches. Joris Evers, the La Liga chief communications officer, told The Times: ‘Our position is clear. The leaks validate what we have been saying for more than a year. UEFA would not comment because of ‘confidentiality obligations’ and City have yet to respond but, so long as it is within the time limit, it could re-open an FFP investigation into City if the full documents come into the public domain, or are sent to them. 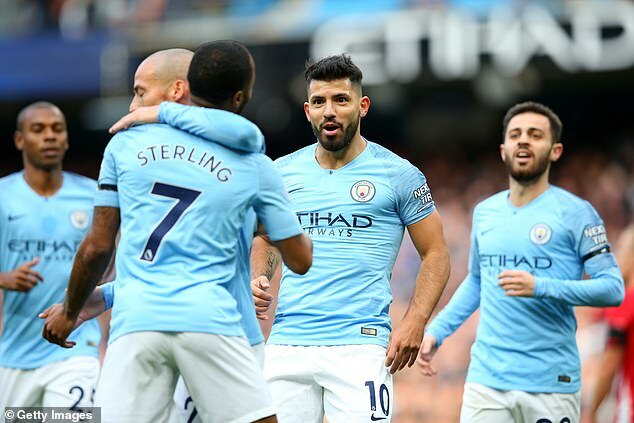 The latest allegations by Football Leaks comes after their initial report on Monday, which claimed City owner Sheik Mansour paid significant parts of so-called deals with club sponsors in a bid to comply with UEFA’s FFP regulations. In one agreement with Etihad Airways, it is claimed a staggering £59.5million of the £67.5m was essentially financed by Mansour. The revelations could lead to sanctions from UEFA and the Premier League. Neither would comment when asked on Monday night and there is concern about the method by which the documents were obtained. There is no indication ‘Project Longbow’ is illegal. If they conclude that the emails have been obtained illegally, City — who were sanctioned in 2014 for a breach of FFP rules — could face no further action. City reiterated on Monday night that they ‘will not be providing any comment on out of context materials purportedly hacked or stolen from City Football Group and Man City personnel and associated people’. One of the emails allegedly obtained by Der Spiegel from 2010, reportedly from board member Simon Pearce communicating with bosses, allegedly discusses a £15m deal with partner Aabar. 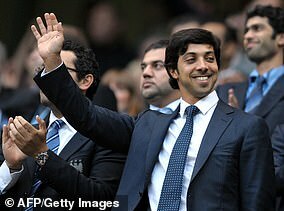 Sheik Mansour (Mansour bin Zayed Al Nahyan): Owner of City Football Group, which consists of Manchester City, Melbourne City and New York City Football Clubs. A member of the royal family of Abu Dhabi, he is current Deputy Prime Minister of the United Arab Emirates and also Minister of Presidential Affairs. Khaldoon Al Mubarak: Chairman of City Football Group, and also the chief executive officer and managing director of Mubadala Development Company. 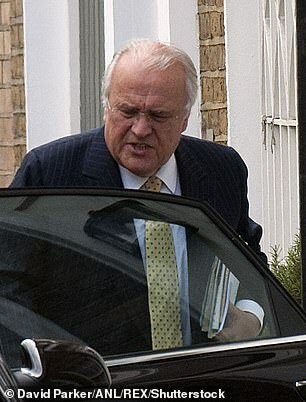 He was first appointed Chairman of the Board of Directors by Mansour after his takeover in September 2008, before becoming the chairman in 2013. Ferran Soriano: First delved into the world of football with his boyhood club Barcelona, first as Economy Vice President and then interim CEO while Pep Guardiola was the manager. 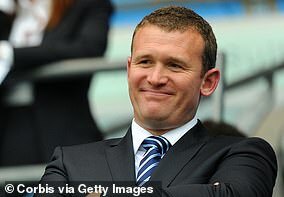 In September 2012, he was appointed CEO of Manchester City and in 2014 added the CEO roles of New York City and Melbourne City to his job-list. Simon Pearce: A member of the City Football Group board, the Australian is widely considered to be one of the UAE’s most influential officials and is a close ally of Khaldoon. He was appointed to the board when Mansour’s takeover was completed in 2008, and is credited by the WSJ as helping ‘smooth’ the process. 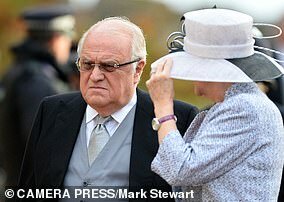 The Rowlands: Jonathan Rowland and his father David (pictured right at the wedding of Princess Eugenie) are the experts the club allegedly brought in. David was in the news previously when he donated millions to the Conservative Party, before being appointed treasurer, a post he never actually took up. In the late 1980s, he also helped fund a takeover of ‘Edinburgh Hibernian’, parent of Hibs Football Club. The deal then turned sour when the company went into receivership, and he was attacked in the Commons and labelled a ‘shady financier’.